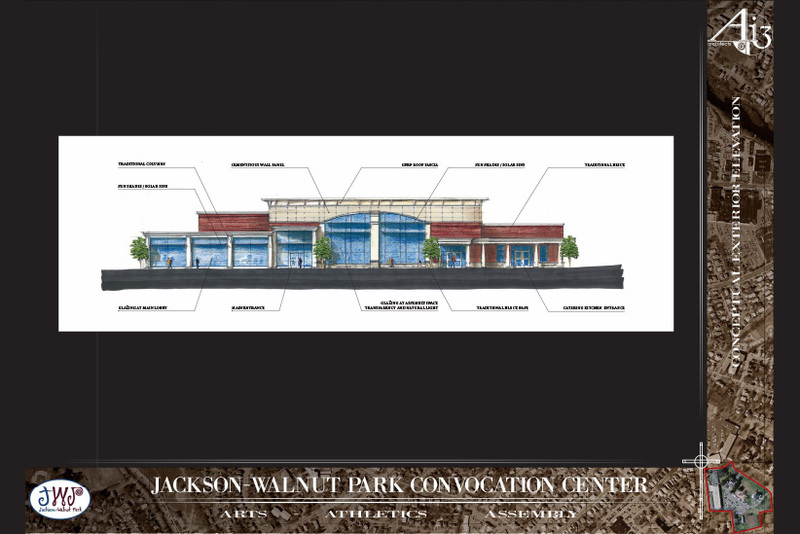 Ai3 has been working collaboratively with the Jackson-Walnut Park School for several years to assist them in developing, master planning, and revitalizing their campus. Projects have ranged from the development of a window replacement program targeted at modernizing the building’s exterior while improving efficiency, to newly proposed buildings such as the Convocation Center. Although only in the early phases of design, this newly proposed Center could provide the necessary multi-purpose facility for assembly, performance, dining, fitness, and the entire school community. Located at the heart of the campus, this newly proposed space could benefit both the Montessori School and the Elementary School.